Khun Wanphen was born in Lampang Province in the North of Thailand, a province famous for the production of quality ceramics. In her spare time, she loves to cook and spend time with family. She wakes up very early each morning to prepare the food and get the shop ready, but she is able to take a little rest in the quieter times. “If you think positive thoughts, and do good things, then goods thing will come to you“ she said. “What is the best selling dish at your restaurant?” we asked her. 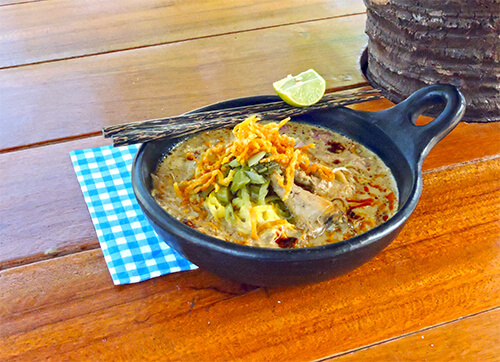 She replied “Absolutely the best selling dish is Khao Soi (ข้าวซอย) • Chiang Mai Noodles by far.” However, she does have many more Northern dishes on her menu that simply sell like hotcakes; dishes like Gaeng Hang Lae (แกงฮังเล) • Jungle Curry of Pork, Sai Ua (ไส้อั่ว) • Chiang Mai Sausage, Nam Prik Ong (น้ำพริกอ่อง) • Thai Spaghetti Bolognese and Dtam Khanun (ตำขนุน) • Young Shredded Jackfruit and many others. When asked whether her flavours have developed or changed over the years, she replied that her flavours have never altered since opening in 1995. 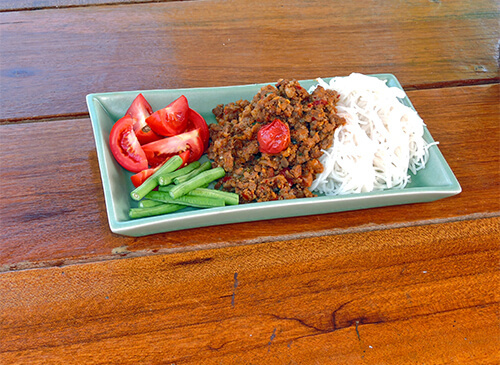 “I am confident in my flavours and my food standards”, Khun Wanphen said. 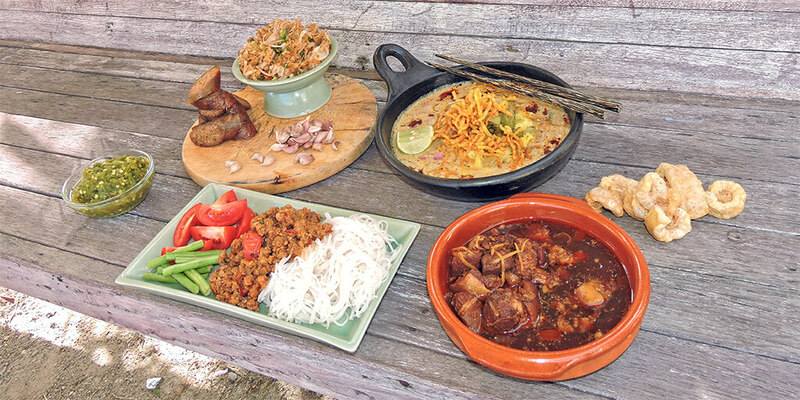 For the authentic Northern flavours she is after, some ingredients must be ordered directly from Lampang. She believes that if she takes the time to source these traditional ingredients, that it will make her food that much more delicious. We asked Khun Wanphen what she believed was the secret to her success. “A commitment to quality ingredients and confidence in my Northern heritage.” It is those 2 words, commitment and confidence we believe makes her business so successful.